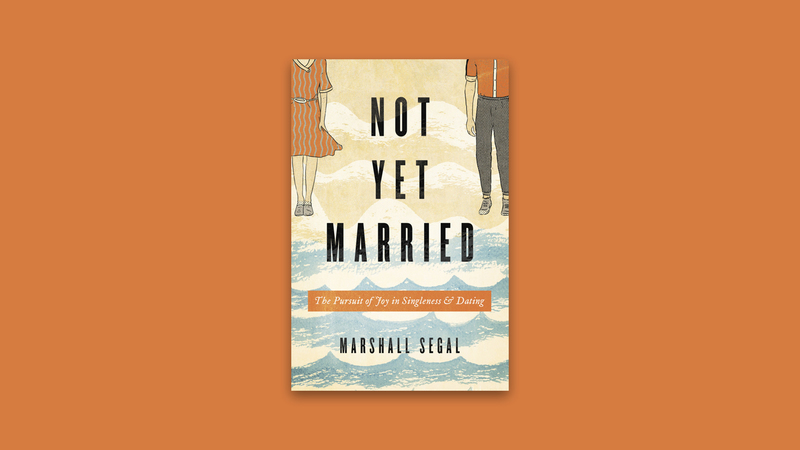 The first book that I would like to meet with you about is entitled “Not Yet Married” by Marshall Segal (MDiv, Bethlehem College & Seminary), who serves as staff writer and managing editor at Desiring God. To begin with, I was drawn to this book primarily because I have recognized that I have a desire to be married one day. I desire to be a husband, to be on mission in the world as a married couple, to experience the particular aid a wife can bring in my sanctification, have someone to chase Christ-likeness with, and to encounter the joy and challenges that come with displaying a picture of Christ’s love for His bride. These things being said, marriage has been a severe idol in my heart. For a significant portion of time, I had difficulty imagining life without it. I had made the rest of my adult life about securing this idol called marriage and centering everything else in life around it. I had made life about the prospect and gift of marriage. I had believed (and am recovering from believing!) that marriage would meet all of my needs, instead of believing that God would do this and already does this. “Not Yet Married” was very helpful to me personally because it exposed the “idol factory” that is my heart and peeled back the layers on something good that I unhealthily wanted. Over the past several months, it became clear that I was in danger of pining my singleness away, missing the gift of this season, and many of the great opportunities that can come from the time when you are not yet married. It was also helpful to read this book in light of Mr. Segal’s heart for marriage. Though married now, he mentions how he “wanted to be married long before I could even drive.” (Segal 15) and “From far too young, I longed for the affection, safety, and intimacy I anticipated with a wife”, which led Him to dating too early, staying in relationships too long, experimenting too much with other’s hearts, and hurting those whom he tried to date along the way. His description of the book was exactly what I was looking for: “This is a book for not-yet-married people that’s not mainly about marriage, or even dating. I set out to write a book for not-yet-married men and women about God and about our role in his world. Instead of being mainly about do’s and don’ts and not yets, this book is meant to inspire and deploy single you with what God has for you now” (Segal, 17). This was when things began to click in my mind regarding my singleness. I read familiar verses in God’s Word differently, such as “So, whether you eat or drink, or whatever you do, do all to the glory of God” (1 Corinthians 10:31) which I could now affirm and say that whether I am single or married, I can do all to the glory of God. My calling to “Go therefore and make disciples of all nations, baptizing them in the name of the Father and of the Son and of the Holy Spirit, teaching them to observe all that I have commanded you” (Matthew 28:18-20) still gloriously and happily applies! I was able to step back and say that instead of spending my singleness wanting it to be over and impatiently anticipating marriage, I was free to spend it serving Jesus! I can spend it discipling and pouring into younger men. I can spend it meeting with older men and gaining wisdom and counsel from them. I can grow in learning how to glorify God in my job and vocation. I can go on this mission trip. I can spend this night studying Habakkuk or Micah. I can volunteer my time and money differently. I can grow in my love for Jesus, for His Word, and in my love for and service to His Bride, the church! As I read further, it became clear that “Not Yet Married” was about what all of life should be about – glorifying and loving God in all things and enjoying Him forever. I can joyfully say that I love this book for how it has declared this. “Not-Yet-Married” is about Jesus. Being married is about Jesus. Being single is about Jesus. And this is very good news! “Knowing Jesus outweighs everything you could have or lose in this life” (Segal 59). I still very much desire to be married. I desire to have a wife and to experience the call to love her “as Christ loved the church and gave himself up for her, that he might sanctify her, having cleansed her by the washing of water with the word” (Ephesians 5:25-26), but my joy and ultimate satisfaction will be found in Jesus Christ alone, not in marriage. After having an accurate look at marriage and what God designed it to be and after gazing at Jesus, I know that I must know Him more, love Him more than anything else, and enjoy and treasure Him above all things. This is what I want most! The author and my mutual desire is summed up this way: “The surest love, the fullest happiness, and the highest purpose are all available to you in Jesus, just as you are. Find them first in him, and you will have a far happier and more meaningful marriage, if God brings you a husband or wife one day. And if, in his wisdom and his unfailing love for you, he chooses not to, not-yet-married you will enjoy more than you ever could have dreamed or found for yourself apart from him” (Segal 19). If you are single and desire marriage one day, please read this book! It will show you Christ, who alone will provide you with true life, joy, and hope. Rest yourself on Him and look at Him, who bled and died for you and who loves you beyond your comprehension! Great thoughts brother and thanks for letting us see the great work God is doing in your heart! I’m proud of you Lukas and I am proud to call you my friend. Thanks again for sharing! I really appreciate this review and will be getting this book for my children. Thanks for sharing your heart! Your pursuit of God makes me think of 1 Timothy 6:11, where we are instructed to “pursue righteousness, godliness, faith, love, perseverance, and gentleness”. May He continually bless you by filling you to all the fullness of Him!